No plant or tree is completely fireproof. Still, you can make your landscape fire-safe. This involves the strategic planting of fire-resistant plants, shrubs, and trees to prevent a fire from spreading to your home. Fire-resistant plants are usually drought-tolerant too, allowing you to conserve water in the process. Here are examples of trees that are known for their fire-resistant nature. Oak. 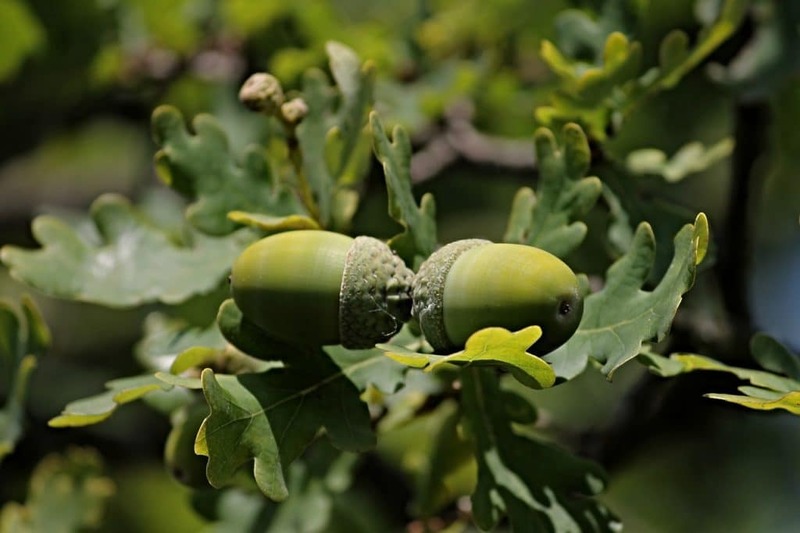 Some oak species, such as the Cork Oak, resist fire very well, thanks to their thick bark that serves as their protection. Mulberry. This tree is known to endure extreme conditions including fire. Its sap makes it less-resistant to fires. Cypress. This broad-leafed tree made a name for its ability to survive massive forest fires. It is highly combustible but it’s hard to ignite. Chestnut. This tree has the ability to retain high amounts of moisture, making it less resistant to fire. It needs access to water, though, so your location is a crucial factor. River birch. Characterized by its glossy green leaves, river birch is also another tree you can consider if you’re looking to create a fire-resistant landscape. Poplar. This tree enjoys being exposed to sunlight, fast-growing, and is fire-resistant too. Watch out for broken limbs, though. Cape Lilac. A fast-growing tree with a fern-like foliage, cape lilac also loves the sun and is known to be a fire retardant. Consult a certified arborist to know more about the best trees and plants to grow in your area. Plants and trees differ in size, shape, color, and a lot more aspects. You’ll also want to factor in the available space, amount of sunlight your landscape is receiving, as well as tree maintenance requirements. Which Time of the Year is Best for Tree Planting? The ideal time to start planting trees is during their dormant season, which begins late fall and lasts until the end of winter. At this time, tree growth stops, allowing plants to focus their energy on root development. A tree can take its time establishing its roots before the summer heat arrives. Planting during this period also helps reduce tree shock. Here are more tips to make your landscape fireproof. Ensure regular pruning to remove dead wood and branches that hang too low. Clear away dry vegetation or remove plants that are highly flammable. Use fire-resistant building materials for your home. Consider incorporating more hardscaping into your yard spaces. Keep wood pile away from home. Keep tree branches away from power lines or other structures that may catch fire. Mow grass regularly and keep them at a low height. Apply inorganic mulch, such as rocks. Partner with a reputable tree service company in your area to help you select the right trees for your property. Tree care experts can take a look at your place and recommend suitable trees to grow. They can also install the trees for you and assist you in ensuring healthy growth.